Charges fly that conservative critics of Obama are fueled by racism. African-Americans have been to this movie before. The media melee is in full fury, as pundits, pollsters and even ex-presidents react to the assertion that much of the anti-Obama animus in evidence of late is motivated by—dare I say it?—race. First, New York Times columnist Maureen Dowd took South Carolina Congressman Joe Wilson to task in a weekend missive: “Some people just can’t believe a black man is president and will never accept it.” Then Politico’s Jonathan Martin quoted several prominent Democrats detailing what hey see as obvious racism among many of the President’s detractors. And Tuesday, former President Jimmy Carter entered the fray, telling an audience at his presidential center in Atlanta that Wilson's scream at President Barack Obama during his healthcare speech to Congress was at its core motivated by racial animus. In the midst of all this, I find myself a bit bewildered. I am angered by the outpouring of racial invective that is being subtly (and sometimes not so subtly) encouraged by the denizens of hate radio and hate television, but I am not surprised by it. I am saddened to see placards at rallies and town halls depicting the president of the United States as a stereotypical African witch doctor, or T-shirts depicting him as a monkey, but I am not surprised by it. I know of very few African Americans who are surprised. Disgusted? Yes. Angry? Of course. But surprised? One of the basic facts of life if you happen to have spent any appreciable amount of time as an African American in the United States is that you become very familiar with racism. • James Carroll: America’s New Racial Reality • Stanley Crouch: Carter’s Charge Is a Distraction You recognize it wherever it rears its head: The store clerk who follows you—only you—around the store. The cab driver zooms past you in your expensive business suit and with luggage in tow, predictive of a lucrative fare, to pick up the college kid in khaki shorts with the backpack a block down. The supervisor who ranks you “average” in your annual review but can’t quite come up with specifics on why you didn’t grade higher. African Americans’ antennae become attuned early on to racism in all its permutations—from screaming skinhead to dismissive diner waitress. And they also become painfully aware of one of the most pernicious realities—that in most cases, we dare not complain about many of these random acts of soul-sapping humiliation. Let’s be clear: The majority of the people attending those protest rallies or disrupting congressional town halls are likely not motivated by racism. But a significant percentage are, and the architects of a lot of this hate and fear-fueled activity know that fully well. Worse, they also know fully well that the destructive forces that they are unleashing pose a threat not just to African Americans, nor to Democrats, but to the nation as a whole. They know this, but they just don’t care. Meanwhile, the decorum of our discourse, our commitment to the common good and the hopefulness in our hearts that has always been one of the secrets of our success as a nation are dropping like beans at a backyard barbecue. America, surely we can do better than this. 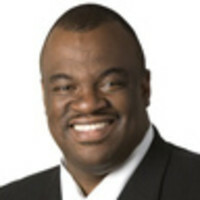 Eddie Reeves is a strategic communications consultant based in Dallas. His previous work experience includes stints on the senior management team at Public Strategies, as a Vice President, Media Relations at Merrill Lynch, as Press Secretary and Senior Legislative Assistant for the late Congressman J.J. “Jake” Pickle and as a political columnist for the Austin American-Statesman. He can be reached at [email protected].